Fitness & exercise is to the forefront of everyone’s mind today and Zurich have realised the importance of this by recently launching a new initiative whereby you can avail of a free Garmin watch if you take out a life insurance policy with Zurich for at least €25 per month. The Garmin Vivosmart HR watch is worth €150. In addition to receiving the watch, you will also receive four months cashback of your premiums at the end of Year 1 and two months cashback after the end of Year 2. There are 5 simple steps in order for you to get your free Garmin watch and also money back on your monthly premiums. Customer clicks on the link and provide their address for the watch to be posted out. Well, there isn’t one. 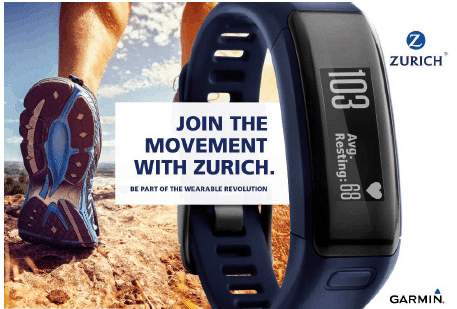 All you have to do is wear the watch every day for 2 years as you will be part of the trial that Zurich are undertaking on an individual’s fitness in conjunction with Garmin and walk a minimum of 2,000 steps a day. Garmin will download raw data including the policy number and all the activity information and will make it available to Zurich. No personal ID information should be provided such as name or email address. They will then independently analyse the customer data. One Garmin Vivosmart HR voucher provided per life insured. Offer is open to single and dual policies. 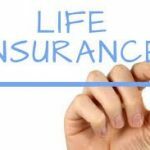 For dual policies, one or both lives may avail of the offer, but if only one life insured participates then the cashback amount will be calculated based on the participating life’s premium only. Cannot be used for re-writes of existing Zurich policies. 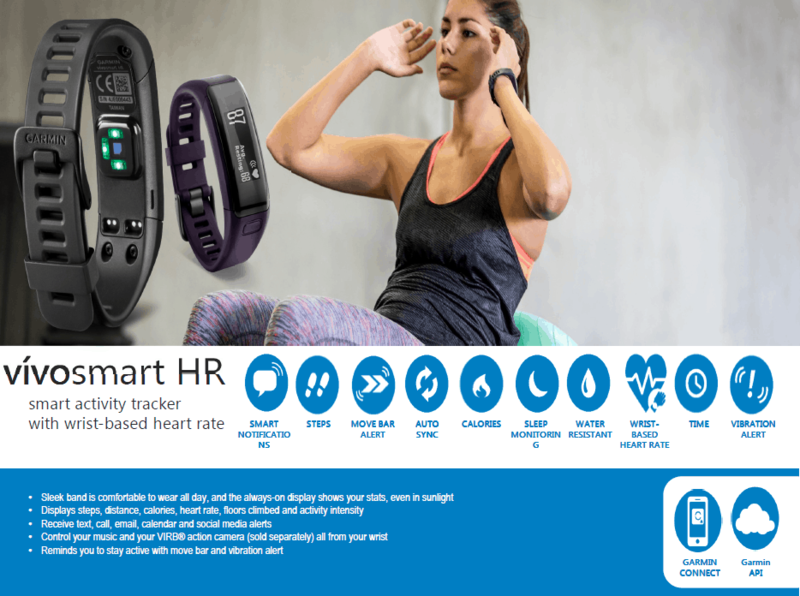 In order to receive their voucher for their Garmin Vivosmart HR watch, the life insured must download the HeiaHeia App and consent to sharing their wearable watch data with Zurich, Garmin, HeiaHeia and Zurich’s reinsurance partner. At the end of year one, four months cashback will be administered via Electronic Funds Transfer (EFT) and will be issued within 30 days of receipt of the 12th month’s premium. Payment is dependent on the life insured recording an average of 2,000 steps per day over the first 12 months. All unique links emailed to customers to obtain the Garmin watch will have an expiry date of three months from time of receipt. Links not used or where your customer fails to join the HeiaHeia platform or obtain their Garmin watch by this date will expire and the customer will no longer be eligible to participate in the pilot. Zurich must receive twelve months of consecutive premiums in order for your customer to qualify for the four month cashback. No rebate will be paid in respect of policies where Zurich has received fewer than twelve months of consecutive premiums and the policy must be in force at the time of payment of the cashback. At the end of year two, two months cashback will be administered via EFT and will be issued within 30 days of receipt of the 24th month’s premium. Payment is dependent on the life insured recording an average of 2,000 steps per day over the second 12 months. Zurich must receive 24 months of consecutive premiums for the two month cashback. No rebate will be paid in respect of policies where Zurich has received fewer than 24 months of consecutive premiums and the policy must be in force at the time of payment of the cashback. The Garmin watch shall be issued with Garmin standard warranty. Zurich makes no representation regarding, and has no liability to the customer regarding the fitness for the purpose or merchantability of the Garmin watch and Zurich excludes all liability to customer in this regard. Expiry date: All proposals must be input by this date and the policies issued by 31 July 2017.